Shocking fact: pretty and glamorous Primrose Hill is an area of acute deprivation. The Youth Club is the one place that replaces local shut-down government Youth Centres. Please help keep St Mary’s Youth Club open. Our Youth Club workers mentor 6 to 12 and 13 to 18 year-olds where schools are failing and homes are often dangerous. Children become traumatised and start to act up violently on our local streets. Gang behaviour is growing. Last year we held 489 gang intervention sessions. Teachers at Haverstock School and UCL Academy ask Youth Club workers to come to the school gates and defuse violence. Probation Officers request our Youth Club workers to mentor Youth Offenders in prison and leaving prison so that they do not re-offend. Firearms are handed in to our Youth Club. We, the lucky privileged local residents, live very different lives. These children and young people are hidden from us in poverty. Residents exist in adjacent streets in tragically different worlds. We have 28% of local children living in poverty. The results are that this year by February three of our young people have been murdered and eight stabbed in knife crimes. There have been 1,113 Youth Club sessions with young people over the last year to prevent crime. Intense mentoring case studies spin young peoples’ lives around. Assisted CV, job and education applications are helping disadvantaged young people with histories of deprivation and violence to start on new paths. The Youth Club desperately needs a second paid worker salary and more funds for sport, food, equipment and training volunteers. 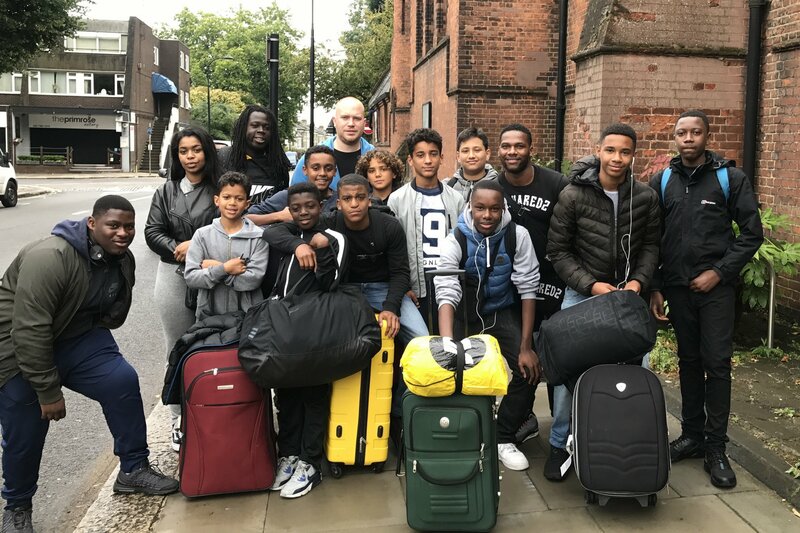 Jason, our one paid Youth Club leader, and his volunteer team answer calls day and night out on the streets and in the housing estates to stop violent behaviour. Jason’s own vulnerable childhood has led him to devote himself to giving hope to deprived children and young people, to raising self-esteem and to creating good future lives. This January, knife crime in London officially rose 23%. We so very much need St Mary’s Youth Club to stay open. If you feel able to make a donation, please contact the parish office at office@smvph.org.uk or make a donation online to their Just Giving page.